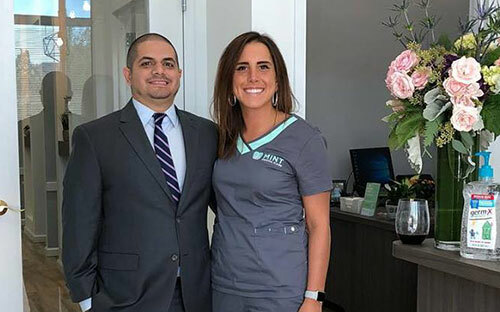 Our dental team at Mint Dental Care is looking forward to meeting you and your family. We strive to ensure your satisfaction and provide the best possible dental treatment. Our goal is to take a good care of YOU, not just your teeth! With almost 10 years in the field, Leila is passionate and driven to provide the best customer service to you and your family! She has acquired extensive knowledge of insurance, providing you the most effective ways to maximize your benefits while remaining personable and comforting! Leila is always seeking to learn new things! Her favorite activities include exercise, singing, and reading. She loves spending time with her family, especially her niece, Pari.